When it comes to custody matters, you want the best lawyer money can buy. That’s especially true for dads who are fighting against typical court bias. Some judges will give a woman a child despite evidence of serious risk. Don’t wait until your child is hurt or worse before getting serious. Consider a Super Lawyer as soon as you know you’ll be dealing with a divorce. What’s the saying? “Not all heroes wear capes.” It’s true. Some fight the good fight in the courtroom, arguing before judges for the safety and security of kids stuck in frightening situations. They fight for the rights of fathers to stay connected with their children. And that doesn’t mean they viciously try to wrench parenting time away from safe and caring mothers either, or that they argue against paying even a penny in support. Super Lawyers are very effective at their jobs, but they’re not sharks. They won’t go on the attack just because their client is upset. 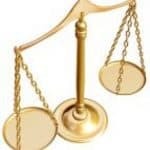 A Super Lawyer can be a voice of stability and reason during one of the most tumultuous times in your life. The best family lawyers help you make decisions in the best interests of your children and talk you down from the ledge when you’re about to make aggressive mistakes. 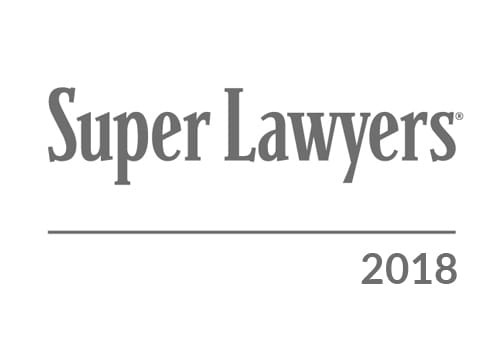 Incidentally, Super Lawyers is also a ranking organization you can use to identify the best-of-the-best attorneys practicing family law in your area. Designees receive a Super Lawyer rating based on peer nominations, peer evaluations and independent research. If you’re looking for a pro-dad family law firm in northeastern Illinois, you’re in luck. Every year, the Illinois chapter of Super Lawyers releases a directory listing the top-performing lawyers (with the highest integrity) so clients can find suitable representation. In 2018, a Chicago-based firm with a history of fighting for fathers’ rights had several members added to the listing. Super Lawyers recognized Alan Hoffenberg and Gloria Block, cofounders of Hoffenberg & Block LLC for decades of outstanding work. The directory listed an addition three attorneys from the firm as “Rising Stars.” Combined, the firm represents more than 100 years of experience in family law. What won’t a Super Lawyer do for you? Sometimes, in an effort to be divorced quickly or to appease a difficult soon-to-be former spouse, dads will agree to divorce, custody and child support terms that conflict with Illinois law. Moms do this too. No one is immune, not even legal professionals! Divorce (and the depression that sometimes follows) can twist common sense into knots. No matter how much you believe an agreement is best for your family, the courts cannot accept certain arrangements. Hiring a Super Lawyer doesn’t change that. 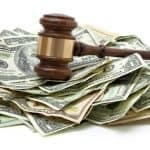 Hiring an attorney from Hoffenberg & Block LLC might include some tough discussions on what will and won’t be approved, as well as acceptable alternatives.